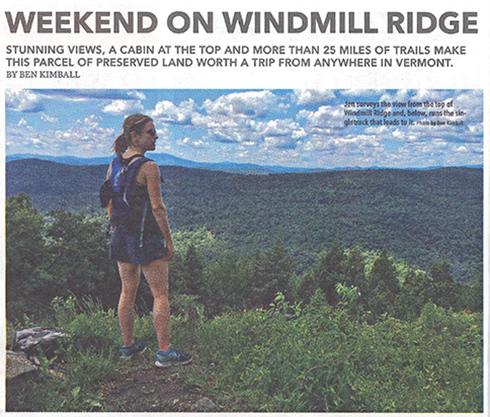 An article by Ben Kimball in the May 2018 Vermont Sports magazine recounts a 10-mile run on WHPA trails on July 4, 2017, that was most memorable and romantic! Click here to see the article online. Click here to download a pdf (16 MB). Pinnacle Cabin: The Transformation Is Done! 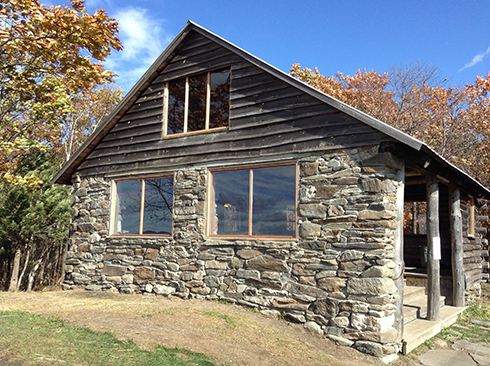 The Pinnacle Cabin’s facelift and renovation have vastly improved the appeal and comfort of this very special shelter. Read more here and consider reserving the cabin for your next overnight or celebration. 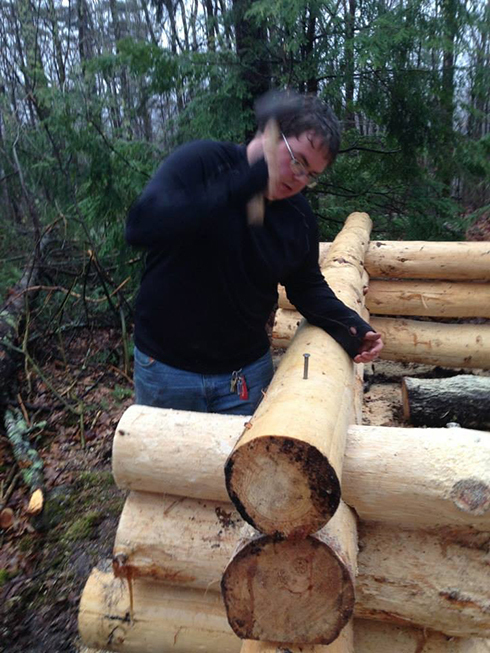 Earl hammers a log into place. Bob Sartini’s Hikes the Through White Trail from Putney Mountain to Grafton! 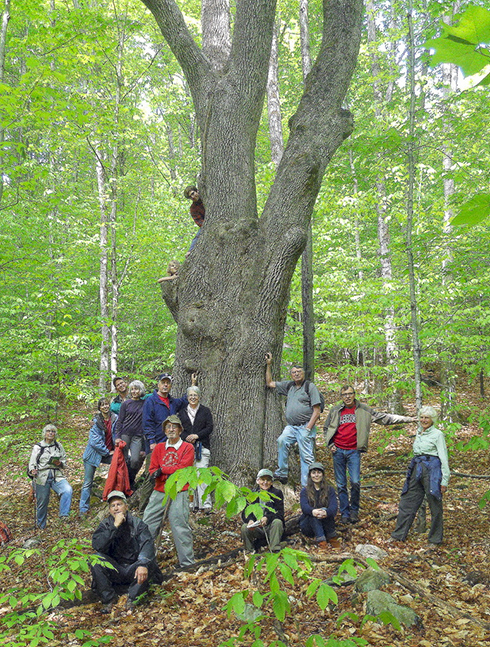 Forester Arthur Westing led another informative hike to the largest White Ash tree in Vermont.